In today’s fast-evolving digital trend, an excellent communication channel can transition itself as a vital backbone of the company and in turn, it plays a vital role for any business to effectively communicate both internally and externally. If there is a lapse in the communication system this could be a major bottleneck for any corporate business entity involving the significant revenue loss. 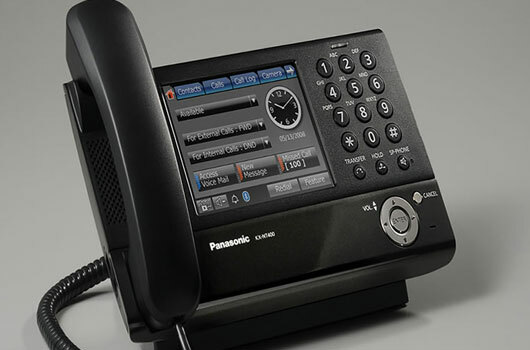 Towards this endeavor, PABX Telephone system becomes instrumental in connecting the entire organizational premises with its communication channel through telephonic systems which purely works on the Transmission Control Protocol and Internet Protocol (TCP/IP) stack. Anecdote: TCP/IP: The Transmission Control Protocol/Internet Protocol has been the governing protocol stack which is primarily deployed in the network which enables the fastest and the seamless network connectivity as it accommodates within it both the data and voice compliance. The PABX system installation Dubai (Private Automatic Branch Exchange System) has been quite successful in connecting various internal departments in an organization with well-defined PABX identification through the internal network which predominantly works on the principle of TCP/IP stack. The voice data through the IP based telephonic system. The data connectivity through the TCP stack, which gets accommodated in the LAN, thereby connecting the multiple workstations in a network system. Interactive Voice Response system (IVR): IVR’s have been enabling the users to have seamless product information through the self-explanatory IVR systems in place. In fact, with IVR and call queue, you could perform a multitasking to handle more calls with a bare minimum staff. Conference call facility over the VoIP systems: The PABX systems accommodate within it the conference call facility over the VoIP. The VoIP provides a significant bandwidth within it which enables for a conference call meeting which essentially involves the voice sharing among the users. Customer Relationship Management (CRM) integration in the PABX systems: CRM’s have been incorporated with the PABX telephone system, which allows the archival of the voicemail received from the end users. Remote office connectivity through PABX systems PABX telephone systems have been quite successful in connecting the multiple offices through its remove connectivity. Since the entire network works on the internet protocol, connecting and configuring the new extensions at a remote office becomes almost very easy. VRS Technologies have capitalized on the different variants of PABX Telephone systems and have been constantly involved in the deployment of the PABX systems for various customers across Dubai, UAE. In the event that you are looking forward to the PABX installation at your premises, please get in touch with us at VRS Technologies and call us at Call Us 00971555182748 or 04-3866001 so that our technical team could get in touch with you for further endeavors with reference to the installation of the same. Please visit our official website at https://www.vrscomputers.com for more information.